International Trade Fair for Creative Handicraft and Hobby. h+h means presentations on current trends, creative workshops and the fashion show offer plenty of inspiration to visitors. The h+h 2019 trade fair will be held from 29 to 31 March, Messe Cologne, Germany. 29.-30.03.2019 8:00 a.m. to 7:00 p.m.
31.03.2019 8:00 a.m. to 6:00 p.m.
29.-30.03.2019 9:00 a.m. to 6:00 p.m.
31.03.2019 9:00 a.m. to 5:00 p.m.
Why exhibit at h+h Cologne 2019? 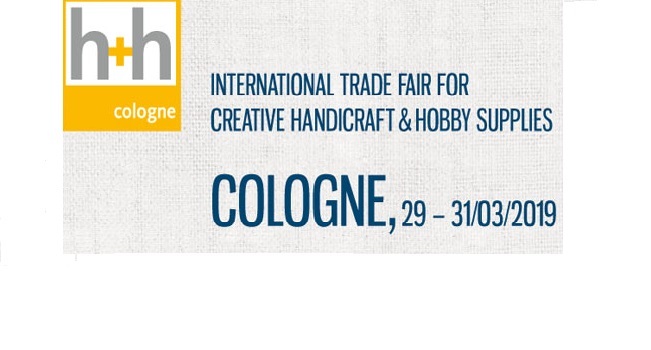 h+h Cologne is the world‘s largest trade fair for handicraft and hobby supplies. 423 exhibitors from 45 countries present round 16.000 trade fair visitors their latest innvoations, trends and product lines.